For more information please call 256-383-4436, ext. 316. 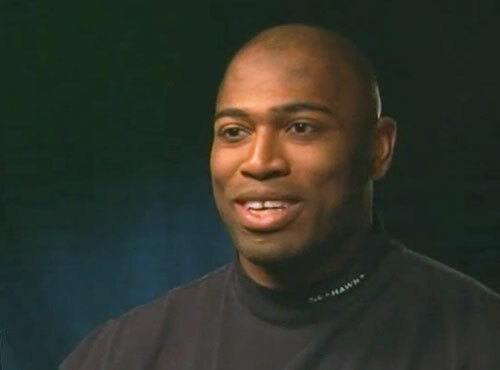 Shaun Alexander is a former NFL running back who played for the Seattle Seahawks from 2000–2007 and the Washington Redskins in 2008. Alexander is a three-time Pro Bowl selection for 2003, 2004 and 2005 plus he is a two-time First-team All-Pro for 2004 and 2005. Alexander was named NFL Most Valuable Player for 2005, NFL Offensive Player of the Year for 2005 and NFC Offensive Player of the Year for 2005. Alexander also is the winner of the Bert Bell Award for 2005 plus he was named to the NFL 2000s All-Decade Team. Alexander led the Seahawks to their first Super Bowl appearance in 2005. Christian Speakers 360 is a booking agent for Christian athletes and celebrities. If you would like to book Shaun Alexander for an appearance, contact a Shaun Alexander booking agent for speaker fees at 1.800.966.1380.